One way of keeping a positive attitude towards life is by remembering and nourishing the child in you. Never forget to play no matter your age. If you think adulthood should take some time off now and then and being a child is what you go for in order to charge your batteries, you might want to check the water toys for adults mentioned below. You can also take routine out of your daily schedule with some cool desk toys you’ll find in the following list. Remember all that fun you had as a child when riding your car toy? 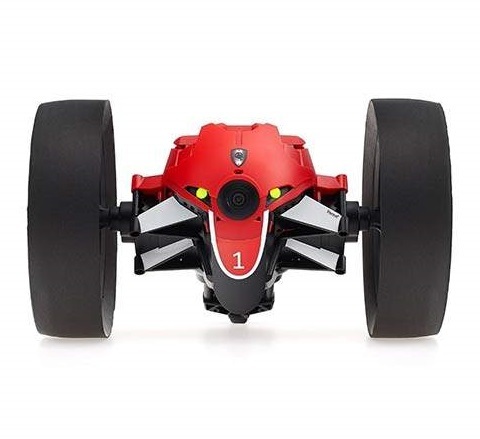 You can bring back all that with this remote control car from SGOTA. This High-speed Remote Control Off-Road Car makes a great gift for car buffs that don’t forget to play as well as for kids. The 1/20 scale design will make one fall for it and its 2.4GHZ frequency with anti-jamming capability will allow you to race it no matter the terrain or weather. Reaching 15km/h and featuring a 50m control distance, this 2WD Radio Controlled Electric Vehicle will help you dominate the stadium. If you had a soft spot for snowball launching as a kid, you could still enjoy all that fun with this cool toy from Perfect Life Ideas. 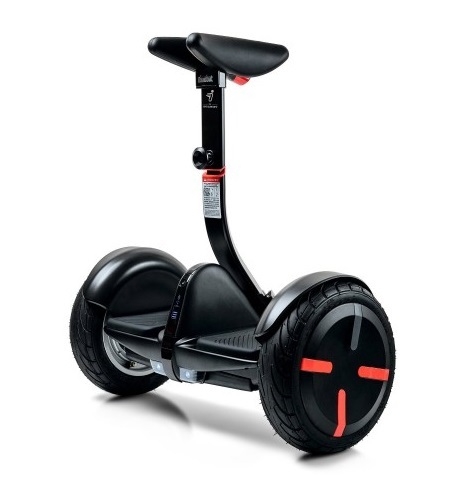 It makes a great toy for indoor and outdoor spare time activities and it suits everyone in the family. The Snowball Blaster includes 8 snowballs each about 1.1 inches diameter and a target to shoot the snowball. Since it needs no battery, you don’t have to worry about getting the time off. Shoot and play inside without wearing a coat or some heavy boots and, especially, without freezing. Passionate about snow sports? You might want to check the Ripcord Snowboard coming from Burton. Say a cool Happy Birthday to your partner or dad with this men’s board and your gift will be appreciated. Designed to help both beginners and intermediates get into more advanced riding situations, the Ripcord Snowboard features a directional shape that works with any terrain or snow condition. Moreover, the added stability and catch-free feel will put you in the pilot’s seat. This soft, flexible, and playful snowboard will level up your performance and improve your snow riding skills. If you want your kid to enjoy the unique feeling of traditional toys or you want to experience that joy again, the Straws and Connectors Kit from Roylco might be just what you need. This kit includes 230 pieces made of high quality and flexible straws that will help your little one build up fine motor skills. It is paired with a handy idea guide that makes it great for students of all ages. You can use it to make playhouses and forts, engineer space crafts, design buildings and give countless shapes to your imagination. The kit will provide you with hours of fun without breaking your wallet. Whether you’re looking for a real old-school toy for your friend or one for yourself, this Snow and Swim Tube from Tar is a great option. The tube is a great combination of durable and tough rubber that will take your sledding, swimming, and floating fun to the next level. The rubber features a unique rubber valve stem and cap that will boost your safety and protect you from scrapes and bruises. The tube is UV protected so the sun won’t harm it or make it deflate prematurely. It is also durable and tear-resistant. Thinking of throwing a party soon? You might want to grab this party game from Creative Converting. The Emoji-themed beanbag toss party game comes with a plastic doorway banner measuring 60 x 30-inches and a beanbag. The Beanbag Door Toss Party Game won’t just boost your fun when gathering your dear ones with its humorous printed images but it will also help you enjoy the fun of traditional toys. The game is perfect for kids and adults alike. It will help you let everyone know that fun is in store for all those attending the party. Although grown up should be responsible and use their little spare time to engage in more “elevate” hobbies and pleasures, often enough we forget the simple pleasures of life. Life isn’t made of the biggest moments and memories, but from the little things that give you pleasure and a sense of belonging, wherever you are. Most of the times we are too preoccupied with our own daily routines, work struggles and inconveniences to just stop for a second and enjoy the everyday miracles we used to gaze at back in our childhood. A mere rainbow, a cold rain after hot torrid summer days, a smile from a complete stranger or a simple toy – all these and much more have the ability to change our entire perception throughout a day and label it as “good” as opposed to unsatisfactory. And speaking of toys, who doesn’t want to have a little time for himself and just be a kid again, even if for a mere moment. Toys are an integrated part of everyone’s lives, whether infants, toddlers, teenagers, adults or seniors. It is them that keep our spirits young, so we should embrace it more often. If you are looking to find the coolest grown-up toys in the market, simply read our comprehensive guide, and you will enter a world of unlimited possibilities, depending on your budget. It is said that boys never grow up, they just exchange toys for more powerful ones. And, if we look at the wide array of toys specifically designed for grownups on the market today, we tend to think so too. Nevertheless, being an adult can also mean affording to buy the coolest gadgets and, obviously, try them on for a month or two. Now, we already know that most grownup toys revolve around control cars, planes, and guns. But let’s see what motivates these choices. We know that rational items and toys for grownups don’t stick together, but before going on a shopping spree, we would like for you to take into consideration the actual utility of the toy you are picking. Yes, we know you can afford it, and you obviously like it, but do you actually need it? Is the price convenient enough or will you just be throwing money at a window to satisfy some long forgotten childhood desires? Just take a second to analyze your further toy purchase and try to be rational. Do you need it? Will you have the physical time to enjoy your purchase with everything going on in your life? Unfortunately, not only we grow up over the years, but the objects of our satisfactions also. Thus, it comes as no surprise that most grownup toys come in a full size, requiring plenty of storage space. Moreover, your house has also evolved, meaning that you may no longer have the required space to store all your toys. You probably already live with your partner or have kids on the way, so you cannot actually store toys in your room anymore. Taken this into consideration, can you think of some additional storage place like a garage, a backyard or a closet? If you live in a small flat like almost all citizens in the big cities, we suggest refraining your wishes for large, roomy toys and stick to the ones you can still put under your bed or that fit in a closet. If storage is no problem and you have enough cash to be spending on your fantasy cars, we suggest investing in a drift-friendly electric ride-on. This will fulfill all your childhood fantasies about racing and drifts, without damaging your family car or enrolling in real car races. Such electric ride-on can reach a speed of around 20 mph and will support up to 300 pounds, making it safe for all adults to experience car racing in the real version. However, this toy doesn’t come cheap either, meaning you will have to take out of your pocket up to one thousand dollars, depending on the reseller, and the car’s maximum speed or options. Now, forget everything you thought you knew about car racing and come join us in a luxurious adventure which will cost you over eighty thousand dollars. What we want to propose to you is the most luxurious type of toy car racing, meaning a full car racing track built into a real 1969 Camaro Z28 car. If we ask us, we cannot possibly tell you why in the world would you break such a beauty to build a car track inside, but probably there are plenty of people who will enjoy this madness. The course features miniature, yet powerful cars, bank corners, grandstands, and even LED lighting for when you want to play overnight. Again, for this price tag you could buy a couple of real, full-size, full-option racing cars and create your own Fast and Furious franchise, but if you’re into this, we urge you to buy it. We all grew up with our favorite comic books and superheroes, and we all wanted to be one for a while. But, since chances to develop superpowers after being bit by the spider are quite low, we suggest you the second best thing. Marvel has released its own sleeping bag suits collection featuring your favorite action movie characters. Spiderman, Hulk, Captain America, and Iron Man can become your best friends out in the wild while keeping you warm during the night. Take these one person sleeping bags with you whenever you’re planning a weekend getaway or a nature expedition, and you will become the coolest person instantly. In fact, this is a cool reiteration of your childhood superhero costumes, so you can call your old gang and pretend to be action stars one more time. Chilly morning in the wildness has never been cooler before. You will also be able to move and walk in this ridiculously cool sleeping bag, so we urge you to buy one as soon as possible.